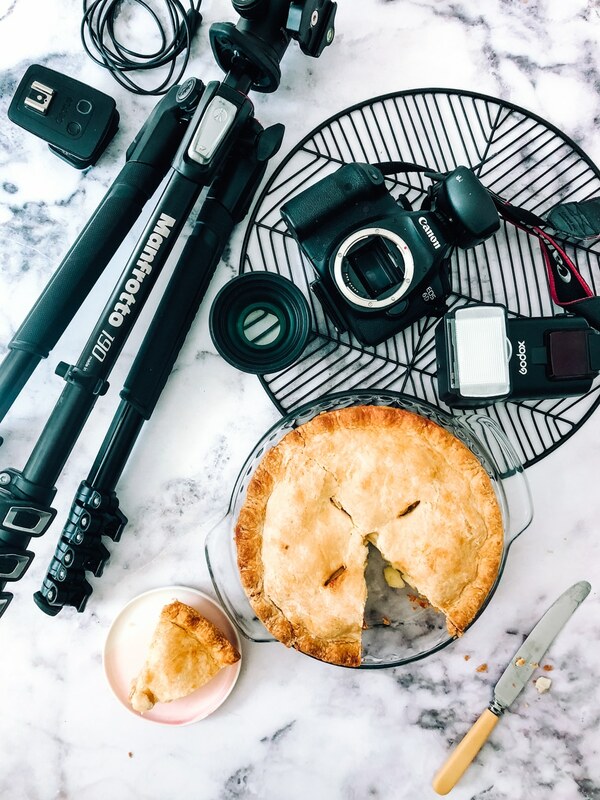 All of the food photography gear you need for professional photos, at the best price for quality. You won’t break the bank, but you won’t have to compromise. 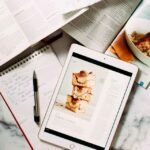 Food photography equipment doesn’t need to be the fanciest and most expensive to get the beautiful results you want. A big secret that most people don’t know is that it’s really the understanding of light and the creative person behind the lens that matters, not which camera, lens and light source are actually used. 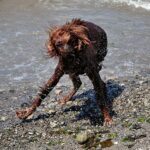 I’ve seen a lot of crappy images taken with a Canon 5D and a lot of stunning images taken with an iPhone. 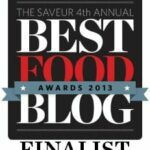 It’s encouraging for someone who doesn’t have a lot of dough to drop on fancy-schmancy food photography gear. Disappointing if you thought a $5K investment in new stuff could launch you to the top. I certainly don’t have top-tier goods. But I still have good equipment. I have a camera that’s a level down from the professional Canon. My diffusers are a ripped up old lighting tent and a Walmart shower-curtain liner, but they sure do the trick. I use a flash as my artificial light source, and it’s certainly not expensive. 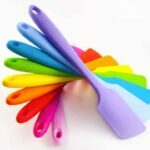 I didn’t break the bank, I don’t even desire any upgrades, and I run a profitable food photography business. 1. A full-frame camera. Superficially, a full-frame vs. a crop sensor means you have a larger field of view and can achieve a shallower depth of field (aka pretty background blur). But more importantly, they are simply better cameras aimed at the pros. I’m not going to go technical on you (google away, lovelies) but know that they take better images (less grain, better range of lights and darks, etc.). I use a Canon 6D. Have had it for years and love it. It’s been replaced by a newer model now and has come way down in price. It is an excellent full-frame, wifi-enabled camera. The 6D Mark II has now been released with some improvements. It’s at the price point I paid for my 6D originally. I still say the 6D is plenty excellent for 1/3 cheaper. 2. A good lens – I use a 50 mm f1.4 almost exclusively. Mine’s a Sigma but the Canon one linked is great and a better price. You truly only need this one lens. 3. A sturdy-enough tripod with an arm so you can use it for overhead shots (if you’re buying your first tripod be sure to buy the ball head too so you can attach your camera!). 5. Wireless flash trigger (the thing that lets you use your flash off camera). 6. Something big, white and transparent to act as a diffuser (this can be an actual diffuser or something rigged with sheer white fabric like a curtain or a shower curtain liner). 7. Photo-editing software (I use Lightroom) + cable to tether your camera to your computer. Shooting tethered means you can compose and focus on a screen before you take your shot, then see the results immediately. You can adjust as you go – which is much less of a headache that trying to fix problems in post-processing. 8. A piece of black foam-core board and a piece of white foam-core board (or even bristol board from the dollar store!). That’s it. 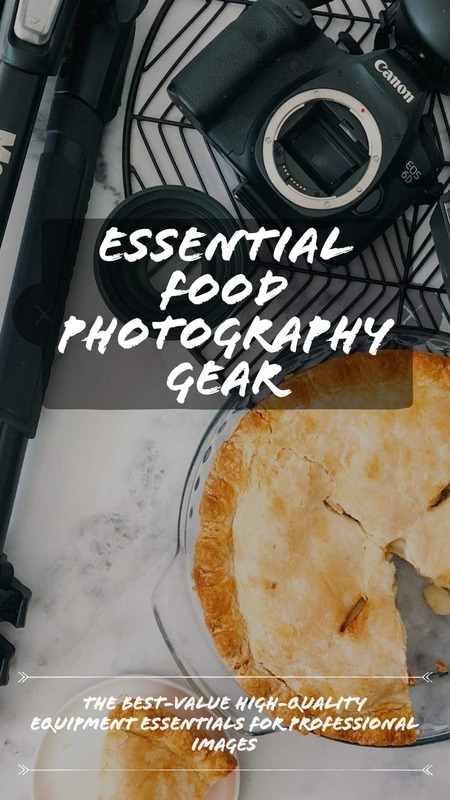 The food photography gear essentials. 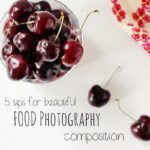 If you want to take food photography seriously, you need the right equipment to support you, but more importantly, you need to know how to use what you’ve got. 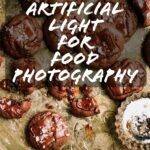 To start, here’s my easy, inexpensive artificial light for food photography setup that you can quickly set up close to your kitchen and take down when you’re done). 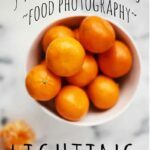 I will be sharing more on how I take my photos in upcoming food photography tutorials, as well as tips on how I run my blogging business, so stay connected! 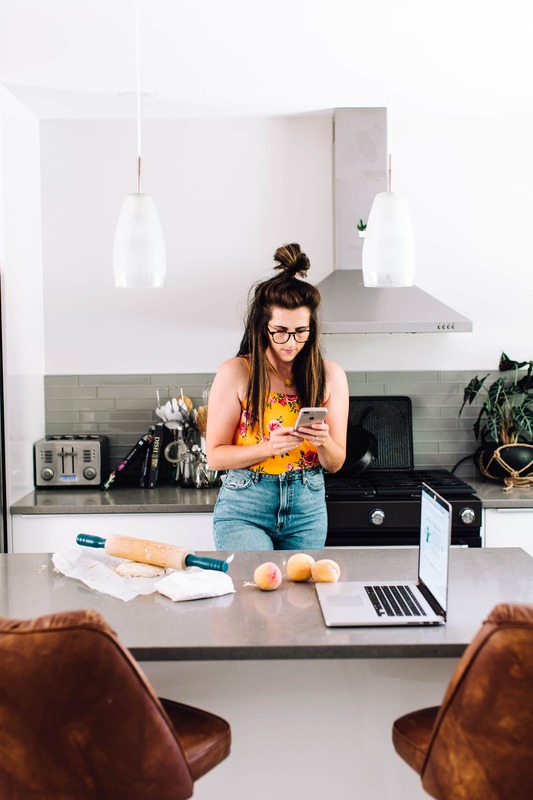 Join me for dinner and become a member of my e-mail tribe. Happy saved my best friend.